We are a local radio program that leverages diverse female viewpoints to feature and interrogate personalities, programs and initiatives in Kansas City, as well as highlight issues permeating our country’s political and social atmosphere. The topics range in subject matter and derive from a social justice and equity perspective. Un popurrí de música ranchera por artistas clásicos y modernos representando más de 60 años de tradición mejicana. 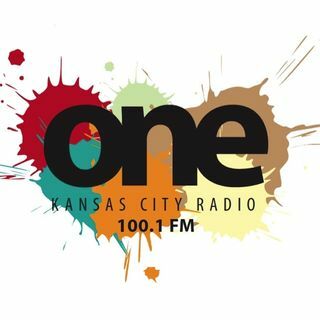 Escuchenos en One Kansas City Radio. Come take a musical ride with DJ Mystic Wonder. Trance, EDM and more. "Electric Minds" is a weekly radio show featuring several EDM genres including House, Breakbeat, Trance, Hardstyle, and everything in between. It is hosted by DJ Rob Reeves and broadcast on One Kansas City Radio (KONN-LP 100.FM) and www.onekcradio.org every Wednesday night at 9 PM CST. Exclusive guest Interviews on "The Blend" on One Kansas City Radio. We sit down with the movers and shakers in Kansas City. Highlighting a multicultural mix of people in the community including musicians, artists, community leaders and more. Tune in to Pat and Ruby as they host The Realennials Podcast, taking on a diverse line-up of guests. The gang and friends tackle topics such as entrepreneurialism, culture, futurism, to the everyday struggles of Millennials.